Her mother went blind at age 75 and Shapiro viewed the project of compiling her recipes as a tangible tribute to her mother’s contribution to the lives of her family and others. Her father was in the process of writing his life story when he died at the age of 81. 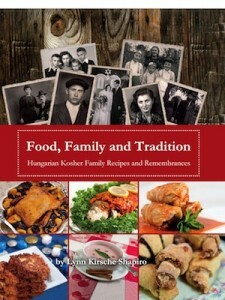 Food, Family and Tradition is both cookbook and memoir. Shapiro’s father, Sandor Kirsche (Shalom Kirschenbaum) was born in a village in Carpathian Czechoslovakia. His family ran a small grocery store in their home. Barely surviving Buchenwald, he returned to his hometown of Hlyuboka, where he found his remaining two sisters who, along with Sandor and an aunt and uncle, were the only five remaining from 38 family members. A ship he had planned to take to Palestine was canceled and he soon after met Margit Weisz. They married in 1947 and moved to Chicago. There, Sandor worked in retail foods and, in 1973, opened an all-kosher supermarket that thrives today. Margit was born in Gergely, Hungary. In 1944, on the last day of Passover, word came that the Nazis were to evacuate the Jews the next day. Her family hired non-Jews to drive them in wagons away in the night, but they were caught. They were sent first to a ghetto and then most of the family was killed in Auschwitz. Shapiro’s mother was sent to a subcamp of Buchenwald, where she worked with 250 other women preparing wooden crates and making ammunition. After liberation, she discovered that a brother had survived, alone among their large family. Meeting Sandor shortly after liberation, the family story takes an uplifting turn as their American dream becomes real. The recipes in the book are not really innovative. Many of them, like the ones included here, which have been proven in one of the Jewish Independent “test kitchens,” are superb in part because of their simplicity. While East European cuisine generally, and its Jewish form specifically, certainly have dishes that are set apart from others as emblematic of major celebrations, they emphatically avoid fancy-schmancy trends so common today. This is probably why recipes like these last generations. The book, in fact, has a litany of the classics of Ashkenazi Jewish cuisine: chopped chicken liver, gefilte fish, chopped herring, stuffed cabbage, borscht, potato soup, chicken soup, of course, blintzes, kugel, boiled fish, schmaltz, cholent, goulash, brisket, tzimmes, beet salad, latkes, kasha, and a litany of baking from challah to dumplings and honey cake. While these recipes are fitting for the High Holidays, you might want to put them aside (the ones with oil, at least) for Chanukah as well. Traditional Hungarians cooked cabbage in a variety of ways. Here is a rich and tasty sweet and sour cabbage soup, with the deep flavor of meat. I like to cook it for a few hours to develop a flavor. For a sweeter taste, add raisins. I always do. In an eight-quart pot over medium-high heat, heat oil. Brown short ribs with onions, turning so ribs brown on all sides. Decrease heat to low, cover tightly and steam until meat is tender, about 30 minutes to one hour. Add the cabbage, the tomatoes together with their juice, and the remainder of ingredients to the meat, including raisins if using. Add six cups of water. Bring to a boil, decrease heat to low and simmer, covered, until the cabbage and the meat are both tender, about one hour. Taste and adjust seasonings. For a richer flavor, cook an additional 30 minutes to one hour. Serve ladled into heated bowls. Makes eight to 10 (eight-ounce) servings. This tuna salad is one of my mother’s most popular recipes, and we have been told that nobody’s tuna salad is as tasty. It is simple but it has its secrets. One is the grated egg; another is the oil-packed tuna. You can substitute water-packed tuna if you want a lighter salad, but the depth of flavor will not be quite the same. Place tuna in a medium bowl and mash with a fork. Grate the egg and add to the tuna, stirring to mix. Add the onion and celery, and mix well with the mayonnaise. Cover and refrigerate for up to three days. Makes four servings. Schnitzel is authentically European, whether veal or chicken. My mother’s chicken schnitzel is special. She debones her own white meat from the chicken, then slices it thin and pounds it to about 1/4-inch uniform thickness. Also, she uses fresh breadcrumbs for the breading. Pounding the chicken breasts uniformly thin allows them to cook faster and more evenly. For added flavor, I often mix breadcrumbs with cornflake crumbs, half and half. Slice each chicken breast in half horizontally. Cover each piece with plastic wrap. Using a meat mallet or rolling pin, pound chicken breasts to an even thickness of 1/4 inch. Some tears are OK; even thickness is the most important step. Place flour and seasonings in one shallow bowl; stir to mix. Place egg and crumbs into additional separate shallow bowls. Dip each chicken piece first in flour, then egg and then the crumb mixture. Transfer to a tray or plate and repeat until all chicken is breaded. In a 12-inch skillet over medium-high heat, heat oil as needed. Fry schnitzel on each side, in batches, turning once, until golden brown and cooked through, about five minutes for each side. Serve immediately or transfer to a parchment-lined baking pan and keep warm in a 250°F oven. Serve on individual plates with vegetables and potatoes or rice of choice. Makes eight servings. This is crispy and best prepared in a deep fryer. For a lighter, healthier choice, oven bake it on a cookie sheet. If frying, preheat the oil to 350°F in a deep fryer or deep pot. Season breadcrumbs or cornflake crumbs with the salt, paprika and pepper. In three separate shallow dishes, place flour, eggs and crumbs. Dip the cauliflower florets first in the flour, next the eggs, and then the breadcrumbs. Fry in batches in the deep fryer, drain on paper towels. Alternatively, preheat oven to 400°F. Place breaded cauliflower florets on a parchment paper-lined baking sheet sprayed with nonstick cooking spray, and bake until crisp and brown, about 20 minutes, turning the pan once in oven. Cucumbers were readily available in Hungary and Czechoslovakia from spring through summer, making ukorkasaláta a classic salad during the season, light and refreshing, perfect for a summer meal. My husband, Irv, likes to serve it as an accompaniment to grilled steak; it balances the richness of the beef. The vinegar and the salt are preservatives, allowing the salad to keep, refrigerated, for a week. Of course, as my mother says, “At home, we never worried about the refrigeration because it never lasted too long – it was all eaten up quickly.” It is best prepared in advance, so the cucumbers have a slightly pickled flavored. Place the cucumbers and the onions in a medium bowl and toss with the salt. Let stand for one hour. Transfer to a colander and drain. Place plastic wrap on top and press down to extract the maximum liquid. Transfer drained cucumber onion mixture to a nonreactive bowl. Reserve. In a small bowl, place water, sugar and vinegar, and whisk to dissolve sugar. Pour this marinade over the cucumber and onions. Cover and refrigerate, for up to one week. Makes about one quart, eight servings. From Sybil Kaplan: A couple of years ago, I discovered clafouti, the French dessert of fruit, covered with a batter, baked and served warm. What I loved most was that it was good year around, it could be made pareve and it looked elegant. Works for peaches, plums, nectarines, cherries, pumpkin, pears, apples. Makes six to eight servings. Preheat oven to 350°F. Butter a baking dish or deep glass pie plate. Place non-dairy creamer, sugar, eggs, vanilla and flour in a blender or food processor and blend until smooth. Place fruit overlapping in bottom of baking dish. Pour batter on top. Bake 30-40 minutes. Serve warm or at room temperature. Follow directions for master clafouti. Makes six servings. Grease baking dish. Preheat oven to 350°F. Place peach slices in baking dish. Whisk together non-dairy creamer, eggs, egg yolks, vanilla, sugar. Pour over peaches. Sprinkle on cinnamon. Bake 30-40 minutes until knife inserted in centre comes out clean. Makes six servings. From Esther Tauby: This is a Rosh Hashanah cake that my Aunt Rose made up and my mother always makes for the holidays – as do I. Enjoy! Cream oil and sugar. Add eggs, beat well. Add flour, baking powder, salt, then vanilla. Use Pam or cover nine-by-13 cake pan with foil or parchment. Pour in half the batter. 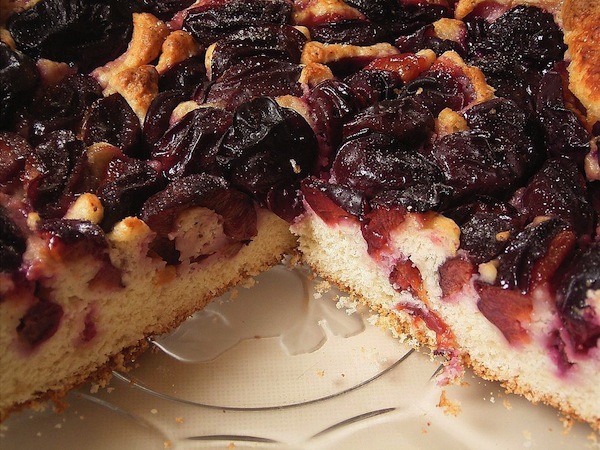 Cut plums in half lengthwise, place face down in batter. Cover with rest of batter. Bake at 325°F until golden brown, about 30 minutes. The key to understanding the confusing global landscape of the 21st century is to recognize that there is nothing normal or logical about it. If you’re confused by current events and concerned with the recent surge of antisemitism and the war with terrorists in Gaza, you may think that you have lost touch with reality – or maybe it’s the rest of the world that’s gone mad. Scanning the news, it sometimes seems as if the world now supports the bad guys over the good. However, if you look closely, you can see the Divine hand at work, the work of Divine providence and intervention. Why would G-d intervene in this way? Would G-d ever cause there to be irrational support for evil in the world? The answer to this critical question is that the Almighty seeks to maintain a balance of power in the world at all times. It is often difficult to appreciate the significance of events as they unfold. When we look at a majestic tapestry, we can admire the work of the weaver, but we cannot see the back of the tapestry, with all its loose threads and knots, nor can we see the hard work that the weaver put into it or the amount of time it took them to weave such a masterpiece. In this way, the hand of G-d majestically weaves a wondrous and deliberate pattern on the tapestry of Jewish history. In order for humanity to have free choice, however, there must be a balance of good and evil in the world. In fact, in the most mindboggling illogical world events lies the deepest Divine providence and order; the chaos provides the perfect backdrop and balance for free choice and its maximum impact. G-d’s plan is nothing short of incredible. In recent history, He has returned millions of Jews to their homeland, even though we are surrounded by tens of millions of hostile neighbors. Just this summer, terrorists in Gaza fired about 4,000 missiles at Israel. There were just a few fatalities. My parents (may they live to 120) who live in Netanya heard a few rockets over the summer, and were so grateful when they found out that those missiles drowned in the Mediterranean Sea in the middle of the night. My sister who lives in Kfar Chabad, 10 kilometres from Ben-Gurion Airport, told me that she woke up one day to find a commercial Swiss Air jet and a huge Air Canada plane rerouted to a field just two kilometres away from her home. The airport had been closed to international flights. Watching with her grandchildren, she described how the aircraft were taking off and landing half a block from her house. My nephew was a tank commander in Gaza and, thank G-d, he came home safely. Given everything, it was miraculous that there were few Israeli fatalities. Nonetheless, most of us here in Canada felt helpless. However, Israel saw supporters gather in cities around the world. 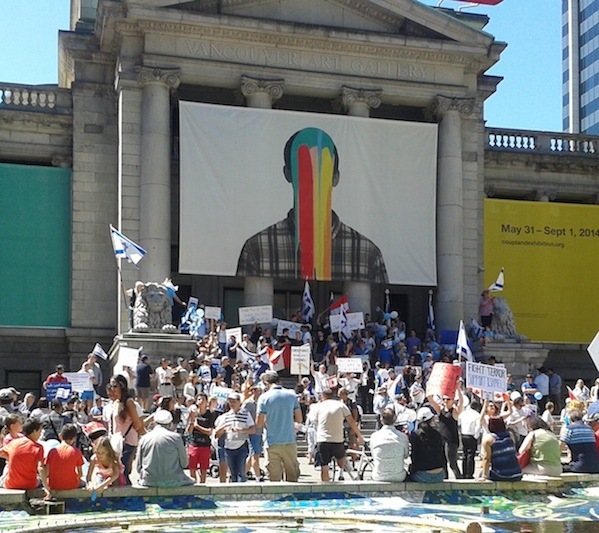 Here in Vancouver we had two rallies in just one day in late July to show our love for Israel and our gratitude to the soldiers of the IDF. 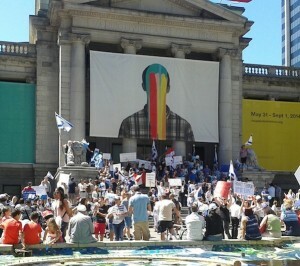 In fact, the afternoon rally at Vancouver Art Gallery felt like a miracle in itself. Seeing my own sons with the Israeli flags draped round them and seeing them singing, dancing and being with community members from the Lower Mainland filled my and my husband’s heart with nachat. Holding up our posters and flags to cars driving by on Georgia, our hearts swelled with joy and pride. The sign I made and carried, the straw hat I wore with an Israeli flag through it, gathering with Jews and non-Jews in support of our homeland, I felt a true sense of unity. What is our role in G-d’s plan for the world? How can we believe in G-d when there are so many things going on that we abhor? What can we do about it all? Our role in this world is actually a mission that G-d gave all Jewish people. It is to join together in unity to create a peaceful and harmonious world. Some call this tikkun olam. If we’re worried about what’s happening in Israel, we can review some of the many thousands of miracles that G-d has made for us. In fact, we don’t need to worry, because G-d is in control, as we have seen so many times over these recent months. G-d has given each of us what we need to be able to fulfil our jobs in this world. We are called, “a light among the nations.” This means that we need to try to model ourselves as bright lights. How do we do that? One way to do this is to teach by example. By making ourselves the best we can be and by helping our friends and families, as well. True, we can only have influence over those close to us, but we can engage them in doing mitzvot, for example, praying to G-d and saying psalms every day, including chapters 20, 130, 142, which are particularly relevant for our soldiers in Israel. Any mitzvah that we can do, big or small, can turn over any difficult times we may have. Doing mitzvot is the way we teach those around us to not feel helpless. On the contrary, we do mitzvot to feel special and important in G-d’s eyes. Whether it be visiting someone who isn’t well, putting some coins in a tzedakah box, calling someone who may live alone and would appreciate a call, shopping with people who may be new to town and aren’t familiar with our city yet, the list is endless. That way, we are doing something instead of feeling helpless to change the situation. Whether it be visiting someone who isn’t well, putting some coins in a tzedakah box, calling someone who may live alone and would appreciate a call, shopping with people who may be new to town and aren’t familiar with our city yet, the list is endless. That way, we are doing something instead of feeling helpless to change the situation. That is how we find our belief in G-d increasing and we can sleep at night knowing that G-d is the one watching over us and His whole universe that He created. Doing mitzvot also guarantees that we will retain our own goodness and not, G-d forbid, fall into wanting to take revenge on Israel’s enemies. When we celebrate Rosh Hashanah this year, we can also ask G-d to give us the faith that we may feel we have misplaced. It is a wonderful time of year as we go to synagogue to pray to G-d for ourselves, family, community, and to feel connected to G-d who loves us so much, as a parent loves an only child. When we wish each other “Shana tova u’metukah,” we are offering everyone we speak to a wonderful, sweet New Year with all their wishes coming true for them. Our blessings to each other are precious and we get many mitzvot for offering them. Then our faith will shine through us as we make the world a better place. Our hearts will be filled with joy when we hear the 100 blasts of the shofar each day of Rosh Hashanah, as we know we are asking G-d to grant us a year filled with health, happiness and only good for us and all our sisters and brothers around the world. What a wonderful feeling that is. Shana tova u’metuka, have a wonderful, sweet year beginning with an apple dipped in honey, and then enjoy everything sweet in your life this special year of 5775. Celebrate in your special way with family and friends. May G-d give you the strength you may need this year to accept your gifts from G-d in an open way. Esther Tauby is a local educator, counselor and writer. This Rosh Hashanah marks the beginning of the year 5755, a year that has a special significance, as a Shmita, or Sabbatical year, a year of rest for the soil. Although the laws of the sabbatical remittance of debts apply to Jews everywhere, the obligation to let the land lie fallow is limited to the boundaries of Israel, as these laws begin only “… when ye come into the Land which I shall give you.…” (Leviticus 25:2) After wandering the desert for 40 years, Moses gathered the Israelites at the foot of Mt. Sinai, and gave them a detailed law about the soil. As soon as they entered Eretz Israel, they were to become people of the land, with their lives bound up in agriculture. For centuries, as the Jews in the Diaspora became largely non-agricultural, the law of Shmita became a theoretical problem to be discussed by talmudic scholars. However, with the establishment of the state of Israel, Shmita again became a practical problem for the pioneers and early settlers. Until the system of crop rotation was devised at the beginning of the 20th century, both Jews and non-Jews saw the logic of letting the land periodically rest. For Jews, these agricultural cycles were detailed in the Torah. For centuries, as the Jews in the Diaspora became largely non-agricultural, the law of Shmita became a theoretical problem to be discussed by talmudic scholars. However, with the establishment of the state of Israel, Shmita again became a practical problem for the pioneers and early settlers. G-d; even though we are asked to let the land rest, the Lord will invoke a blessing for us. Letting the land lie fallow is useful for another reason, too: every seven years, freed from the preoccupation of working the land, we are freed to study Torah full time. Apparently, even Julius Caesar exempted the Jews from taxation in the Shmita year, since they did not have any livelihood from their fields. 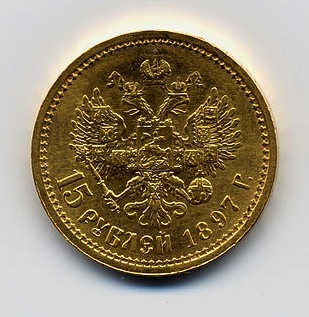 After the Bar Kochba revolt, however, the Jews were again compelled to pay taxes, causing grave hardship, which in turn convinced the rabbis to relax many prohibitions. During the Second Temple period, the Jews rigidly adhered to Shmita in Eretz Israel. During the Hasmonean War, the fall of Bet Zur was attributed to a famine in the city since it was a Sabbatical year. Apparently, even Julius Caesar exempted the Jews from taxation in the Shmita year, since they did not have any livelihood from their fields. After the Bar Kochba revolt, however, the Jews were again compelled to pay taxes, causing grave hardship, which in turn convinced the rabbis to relax many prohibitions. In the days of early modem statehood, Shmita was problematic in Israel, when its unbearably heavy economic load became too much for the young state to bear. Learned rabbis, like the late Rabbi Abraham Isaac Kook, agreed to the use of a heter (special dispensation) to sell the land to non-Jews during the Sabbatical year, to permit the land to be worked. In recent years, there have also been developed other methods of using a heter for Shmita, such as early sowing of vegetables before the New Year (relying on the view of Rabbi Shimon of Sens, for example) and the growing of crops by hydroponics or soil-less systems. The Israeli botanist Meir Schwartz founded the first fully automatic hydroponic farm at the Agudat Israel Kibbutz Chafetz Chaim, but there are now other hydroponic farms at Ein Gedi and Eilat, which use water culture and gravel in agricultural production. How does the Shmita year affect Orthodox Israeli consumers? Throughout the year, in local newspapers, there are regularly published lists of shops from whom it is permissible to buy fruit and vegetables in the Sabbatical year; there are also chains of shops that market Arab Israeli-farmed or imported produce. Many Orthodox Jews buy their fruit and vegetables in the Arab market in East Jerusalem, for example, or travel to Arab cities to shop. Imagine, every single one of them up to Mr. Big himself takes bribes. Don’t be shocked now – he accepts them too, if he gets an offer. What’s that? You don’t believe me? You’re all laughing, eh? Well, have fun…. Ready now? Now gather ’round me, brother Jews, and listen to a story that happened to my grandfather, may he rest in peace, during the good old days when Czar Nich was boss. Why’re you nudging me? What’re you scared of? You think these peasants sitting here know what we’re jabbering about? They won’t understand a word, blast them. I won’t be obvious and, where necessary, I’ll throw in some Hebrew. Just pay close attention and don’t interrupt me. This happened during the reign of our present Mr. Big’s grandfather, after whom he’s named. Our fathers and grandfathers couldn’t forget that old Mr. Big for all the fine and dandy things he let loose against us. In short, their whole life hung on a thread. We existed just by the grace of little Mr. Big, or Buttons, as we called him, who ruled every shtetl. This Buttons liked to have his palms greased, and loved gefilte fish and whiskey. So long as this went on, the Jews breathed free and easy. Then our Buttons kicked the bucket and was followed by a new Buttons, a Haman, a rat. He just couldn’t be greased! Not even with big money. He wouldn’t go for gefilte fish. He didn’t drink. He was as clean as a whistle! He gave summonses and fines. Didn’t let Jews do business or let Jewish teachers teach. If he saw a young woman, he’d rip off her marriage wig; a young man, he’d snip off an earlock. A minute later, the rebbe called out: “May you be inscribed for a year of health.” This astounded my grandfather. It was summer and Rosh Hashanah was a long way off. When the big fair came, my grandfather bought a pair of spotless full-blooded roans from a gypsy, who asked for a fortune. But this was a matter of life and death. The town had to be saved. The Jews had pawned everything they had. My grandfather bought the horses, hitched them to a carriage and left immediately. He and the horses arrived in P about a month before Rosh Hashanah. To make a long story short, as he drove around the palace one day, he saw the Buttons approaching. He stopped my grandfather and inspected the horses from all angles, like one who understood horseflesh. This time, grandfather was quiet. 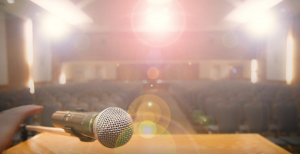 He didn’t know what to say, because the rebbe hadn’t mentioned a question of that sort. Don’t ask how Reb Anshel hit upon an idea like that. If it’s fated, God gives you bright ideas. Well, they took the horses’ reins, and led them right into the courtyard and showed them to Mr. Big himself. As soon as he saw the horses, he couldn’t leave them. Some sort of mystic power was in those animals. He fell in love with them at first sight and showed them off to his entire court. Meanwhile, Grandfather Anshel was watching silently. He recognized Mr. Big immediately from his pictures. But it didn’t faze him at all. He was just a man, like the rest of them. Then Mr. Big approached grandfather. And, as soon as he looked at grandfather, a chill ran through his bones. And, when he spoke with his lion’s voice, grandfather’s heart froze. “How much do you want for those horses?” Mr. Big asked Anshel. When Mr. Big moved closer to Reb Anshel and continued talking to him, my grandfather practically turned into a heap of bones. Naturally, Mr. Big was moved by these words. Now, he spoke softly. His manner changed. He was a new man. 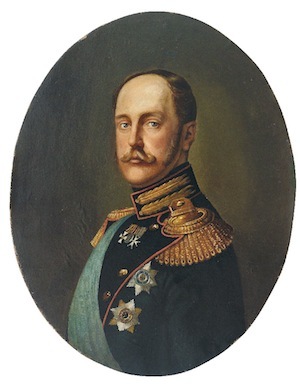 Then the Czar left the courtyard and headed for the palace – with grandfather Anshel trailing behind him. It didn’t faze him a bit, but his knees shook and his heart ticked like a grandfather clock. Can you imagine – being in the Czar’s palace! Wherever you looked, only silver and gold. Then Mr. Big sat down and asked grandfather to have a seat too. He offered grandfather a cigar. In the meantime, she came in – the Czarina herself, draped in satin and silk and covered with diamonds. She was as beautiful as the Queen of Sheba. Seeing a Jew in the king’s company, comfortable and smoking a cigar, she naturally became very angry and looked very sternly at him, as if to say: What’s this Jew doing here? But, by now, Grandfather Anshel had become high and mighty. He continued smoking and didn’t even glance at her. But she kept looking daggers his way, which Mr. Big ignored. “Dushinka, how about some tea?” he told the Czarina cheerfully. The window panes shook. It was nothing to sneeze at. Treason, you know…. In a flash, a boiling samovar and boiled eggs were ordered, for the Czar knew that a pious Jew would not touch anything but boiled eggs. The Czar asked him to eat and drink and make himself at home. By and by, he asked grandfather in friendly fashion how he earned his living, and how the Jews of his region were doing. At this, Grandfather thought: Now’s the time to bring up the subject. Well, he told Mr. Big everything – and Reb Anshel had just the tongue for it. “By clean as a whistle,” Grandfather said, “I mean a man whose palms won’t be greased. By Buttons, I mean a little Mr. Big whom you appoint to watch over every little town. Well, Buttons watches those towns and in a few years becomes very rich. Who from? The Jews, of course. They’ve gotten used to it. Because, just as Jews know they must pray every morning, they also know that an official must take and a Jew must give. Like in our holy books. We always kept giving – for sacrifices, for the Temple, here, there. You’ve been so kind to your servant until now, so please hear him out. Why are you men looking at me? Strange, right, that a Jew should talk this way to a king? Well, take it or leave it. I wasn’t there – that any child will understand. But this is the story that my father – may he rest in peace, heard from his father. And I assure you that neither my father nor my grandfather Anshel were liars. After that, my grandfather said goodbye to the Czar and went straight to the rebbe, reporting back on his trip. Now listen to this. On Rosh Hashanah night, when the Jews were leaving the synagogues and wishing each other gut yontef, a year of peace and good health – a rumor flashed through town that our Buttons, our Haman, may he shrivel up, had been fired, and in his place the authorities up-on-high had sent a new little Mr. Big, a man clever and wise, good and kind – in short, a jewel of a gentile, a regular Buttons. He took. He was a taker! But he had one flaw. He had a mighty dry palm. It had to be greased good and heavy. But the upshot was that the Jews had a happy Rosh Hashanah and an even happier Sukkot. Don’t even ask about Simchas Torah! Even the new Buttons himself had a few drops and danced with the Jews. Be well and have a happy new year. Curt Leviant is the author of seven critically acclaimed novels. His latest book is Zix Zexy Ztories. Christianity and Judaism have many customs and symbolism in common. Naturally, as the aphorism states, the child does not stray far from the mother. We both take vows to repair our character. But, in one area, we grossly diverge: the proclamation of the new year. To put it plainly, New Year’s Eve to your Christian friends may be an office party with wine, stolen kisses and shrill music that drowns the clarion call of the shofar. Rosh Hashanah is both private and public sober meditation, as serious as death. You can tell it’s Rosh Hashanah even without a calendar when Jewish faces go serious – when Jewish eyes are not smiling. In both religions, we reexamine our behavior, note our lapses and vow to improve our moral balance. But, in Judaism, ceremony and symbolism take the throne. The environment is much more regal. After all, we are asking of this shofar-announced first day of the year to come – the king of days, so to speak – mercy and goodness. And, above all, life. May that lump on your leg be benign. May Bennie turn a dark corner and find through honest labor the means to feed his family. We attempt to woo good fortune with a shofar blast, the bugle call of the Jewish warrior. We give tzedakah. We fling away our sins, contemptuous of our selfish errors of the past. This is the first bright, shining day of the year to come. Repent, so that the year to come will reflect the life to come. Sweet as the honey in which we dip our challah. If we were a bit morally careless during the previous year, we bear down hard on the 10-day interval leading to Yom Kippur. We must be as angelic as a human can be so that we are properly inscribed in the Book of Life – and please, Sir, spell my name right. It’s one “b,” not two. Forgiveness depends not only on repentance, but also on restitution. If I burned down my neighbor’s house, I must rebuild it. “Sorry” is not enough. I must repay my debts of insult, deceit, thievery and violence. And, to be heretical for a moment (rabbis, read no further) it is vulgar, but not a sin to lust after your neighbor’s wife who looks like Jennifer Lopez. So long as you suppress your evil inclination and take no action on your devilish desire. Deeds, deeds, Judaism is all about deeds. The holy month of Elul has begun, the sixth month in the Hebrew calendar. There is a rabbinic allusion that the month was named from the initial letters of “Ani le dodi v’dodi li” (“I am my beloved’s and my beloved is mine”), describing the relationship between G-d and His people. In the Aggadah, we read that Elul has special significance because of Moses’ 40-day stay on Mount Sinai (Exodus 34:28), which was calculated to have begun on the first of Elul and ended on the 10th of Tishrei (Yom Kippur). Every weekday morning, the shofar is sounded and Psalm 27 recited. Sephardim have already begun saying Selichot, but Ashkenazim recite this only in the last days of the month. The word selichah means forgiveness – it is a plea for forgiveness for sins and, as we approach the time when we know that we will be judged, we practise a kind of spiritual stocktaking. We look inward, trying to assess what happened to last year’s dreams/goals, asking pardon for wrongs committed and hoping, with repentance, charity and prayers, to be written into the Book of Life for another year. Prayer takes on special meaning in Elul, as we move toward Rosh Hashanah, which celebrates the birth of the world. Then, we will recite the special prayer called Unetenah Tokef (“Let us proclaim the sacred power of this day…”) when we are reminded of our mortality. The translation for part of it reads: “Humanity’s origin is dust, and dust is our end. Each of us is a shattered pot, grass that must wither, a flower that will fade, a shadow moving on, a cloud passing by, a particle of dust on the wind, a dream soon forgotten…. But You are the Ruler, the everlasting G-d.” Legend has it that this prayer was written some 10 centuries ago by Rabbi Amnon of Mainz. Ordered to convert to Christianity by the local bishop, Rabbi Amnon refused. His limbs were amputated and, as his mutilated body lay before the ark as he was dying, he said these words, which are also part of the Yom Kippur liturgy. When mystics pray, they believe there is an ascent of the soul to upper worlds. Prayers of thanksgiving and praise are deemed worthier than petitionary prayers (when we are asking for things), because they are selfless. Some people believe that the highest form of worship is silence. The Bible tells us that Abraham was the first to utter a true prayer – for his fellow man. In these times, when we are at war, agonizing over our losses and the many families who have lost loved ones, we in Israel need to have faith more than ever. We pray for all Jews to have a good, safe year. We share a common destiny – Jews in Israel and abroad – and it is this shared destiny that binds us together, no matter how different our ethnic and cultural boundaries may be. This year’s Summer Celebration cover is a collaborative effort between Jewish Independent production manager Josie Tonio McCarthy, JI publisher Cynthia Ramsay and archivist Jennifer Yuhasz of the Jewish Museum and Archives of British Columbia, which granted the JI permission to use the circa 1950 Leonard Frank photo that appears on the left of the cover and blends into the current-day photo taken on the Granville Street Bridge of False Creek, with the Burrard Bridge and North Shore mountains in background. Frank was a well-known professional photographer in British Columbia, active between 1910-1944. He was born in Germany and first moved to San Francisco, before traveling to Port Alberni, B.C., to work in the mining industry. He began his photography interest there. In 1916, he moved to Vancouver and began to work as a photographer. He traveled throughout the province, taking a wide array of photographs, thereby preserving a detailed record of life here. Frank was interested in photographing city scenes (buildings, bridges, waterfront), industry (logging, construction, shipping) as well as scenic views (mountains, lakes, woods). In 1946, two years after Frank died, Otto F. Landauer purchased the Leonard Frank Photos Studio, which he owned and operated until his death in 1980. The JMABC has approximately 39,000 photographs in the Leonard Frank-Otto Landauer Photos Studio collection – the largest collection of Frank photos in existence. Of these, the JMABC has digitized almost 7,000 photographs and made them available for viewing on its website. You can search them using the JMABC’s Yosef Wosk Online Photo Library: jewishmuseum.ca/archives. To learn how to fade one photo into another in a minute, click here for a video.